I hadn’t done a UK ‘road trip’ since I was 17 and went to Newquay in Cornwall in convoy with about 10 other school friends. Any UK road travel since then has been all about getting from A to B. 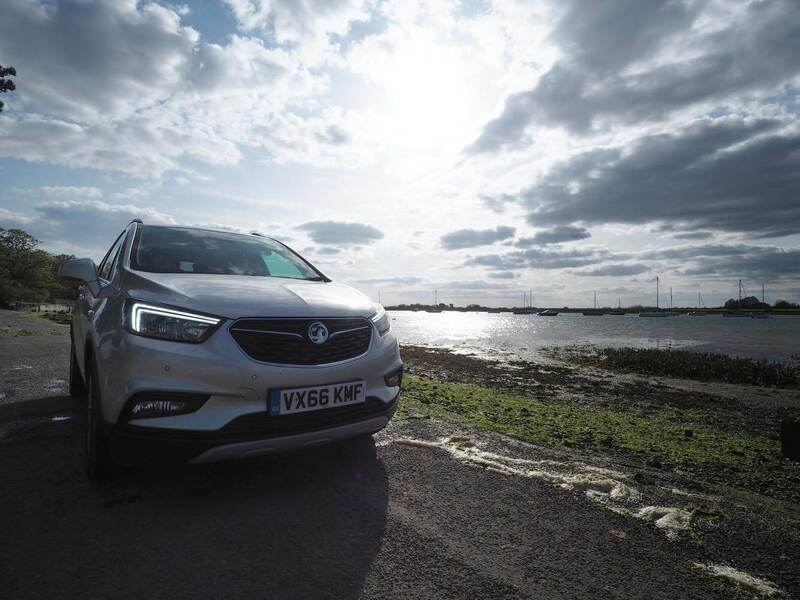 But with my newfound appreciation for England since I’ve come back from travelling, and want to show off my homeland to the world, I decided to use my 48 hours with the new Vauxhall Mokka X to go on a Jurassic Coast road trip. 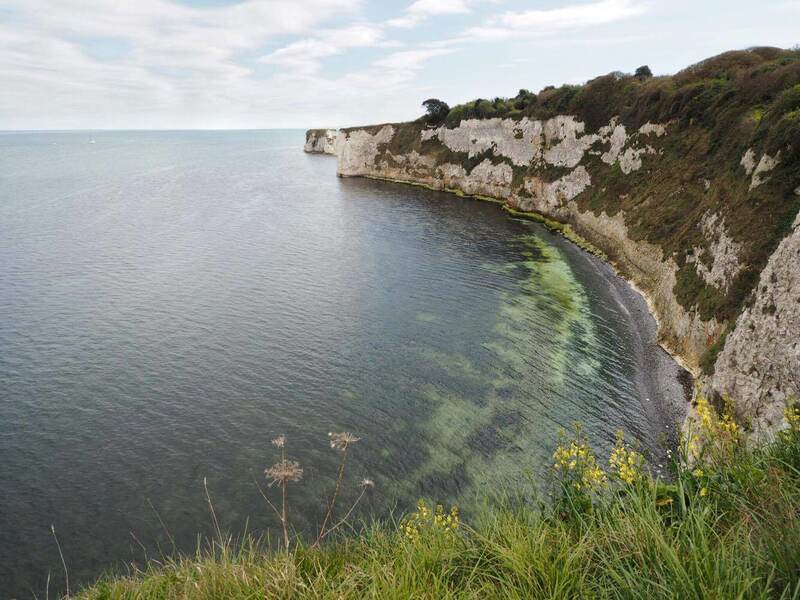 I swear I only found out the Jurassic Coast existed about five years ago. I know all about the southern coast of France, but England? All new to me. 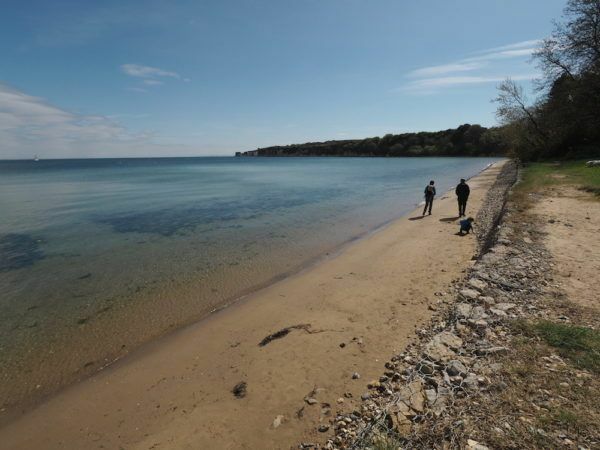 My new knowledge tells me that the Jurassic Coast stretches from Exmouth in Devon to Studland in Dorset, and is listed as a World Heritage Site. Seemed like the obvious choice for me: someone in need of an adventure with some new wheels to have it in. 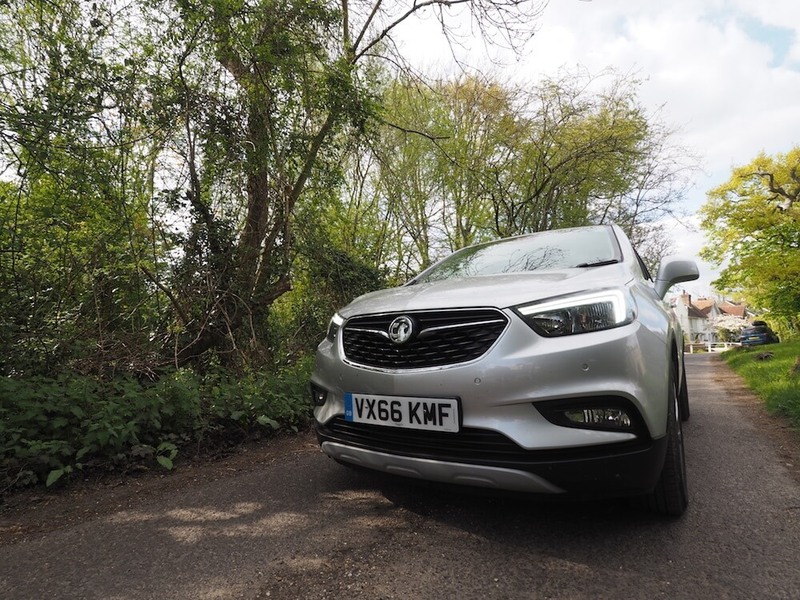 Vauxhall wanted to show off their new family member: the Vauxhall Mokka X, and invited me to try it out. 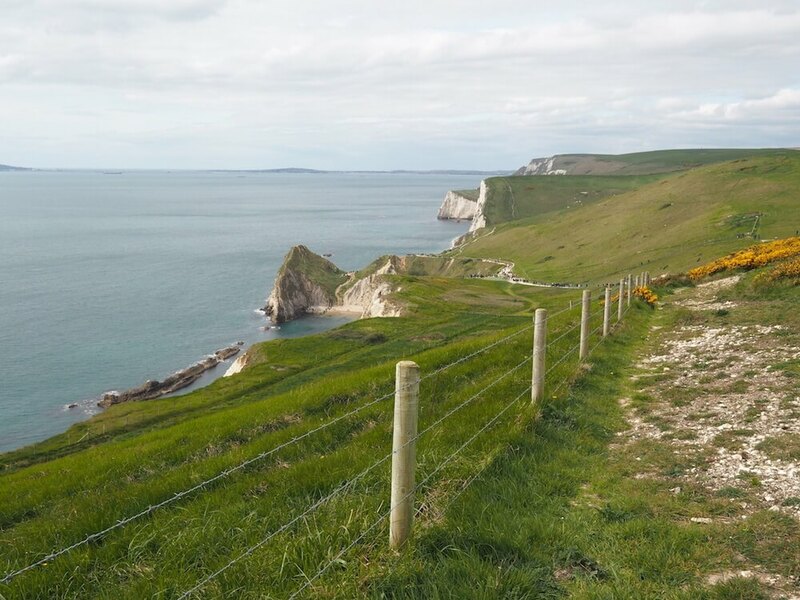 So, here’s how you can have a fun weekend exploring the Jurassic Coast, in a 4×4, with a few of my tales and learnings weaved in for good measure. 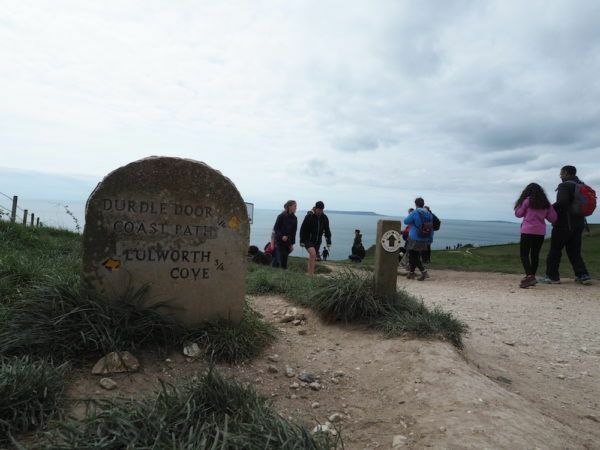 Watch the Jurassic Coast road trip video! Six hours drive and around 200 miles. You know I love Southsea right? I’ve gone on about it enough since I moved here nearly TWO months ago. 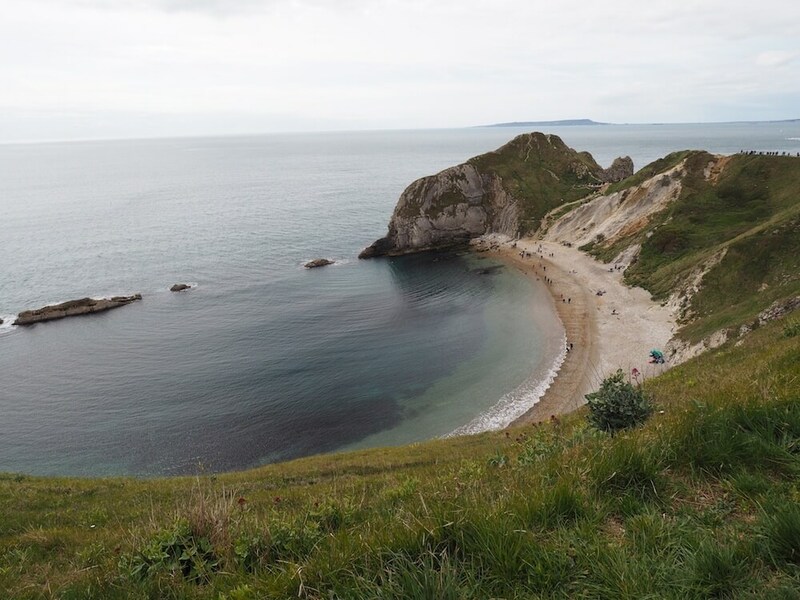 It’s the ideal place to start your Jurassic Coast trip in my eyes, you could spend a few days exploring here beforehand if you have the time. You can use the in car On Star as a Wi-Fi hotspot. My favourite was the fact you could link up Spotify and control it on the screen. AWESOME. 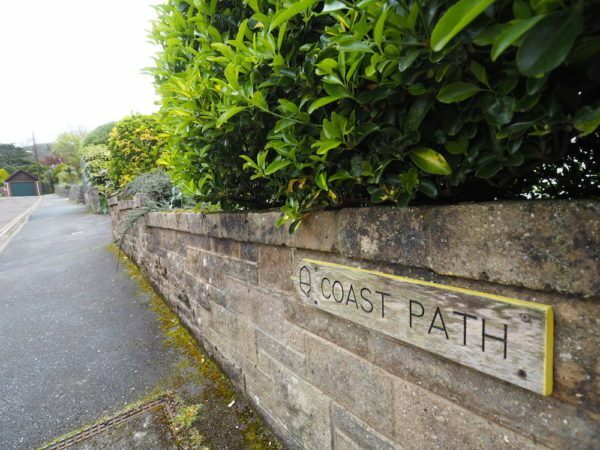 I went to get my friend Chloe from Emsworth – a pretty town 10 miles away in the wrong direction, but worth a look if you have the time – and get started with the Jurassic Coast road trip. 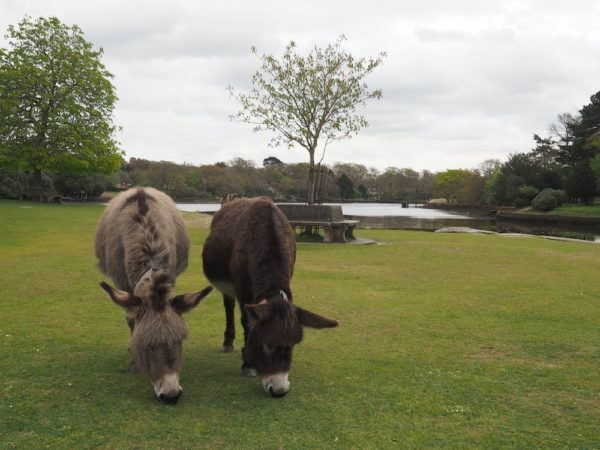 The village of Beaulieu is famous for its Top Gear Museum, country hotels and donkeys that roam free with their right of way. 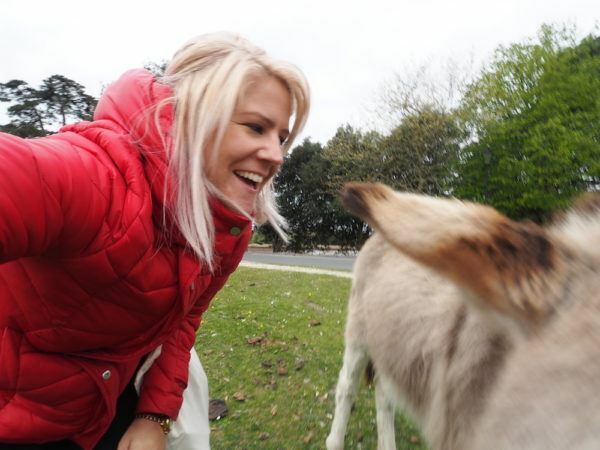 We only had time for the donkeys. Beaulieu is so pretty though, and on a sunny day would be a beautiful place to stop for a coffee and look round. It was a bit overcast when we were there so we carried on (and I wanted coffee). 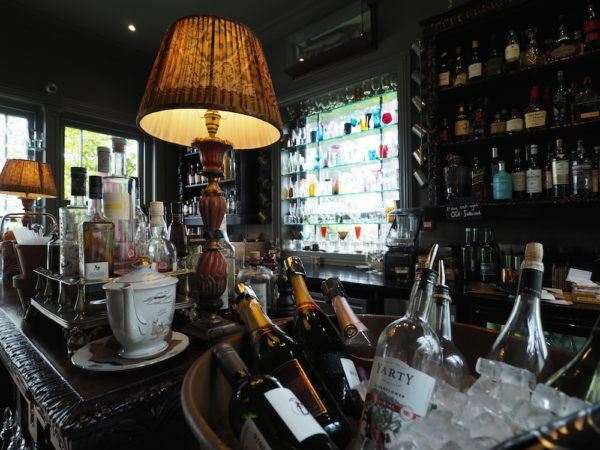 I went to Brockenhurst with friends last October for my birthday and loved it there, especially at The Pig. And so that was the first place I wanted to go back to. 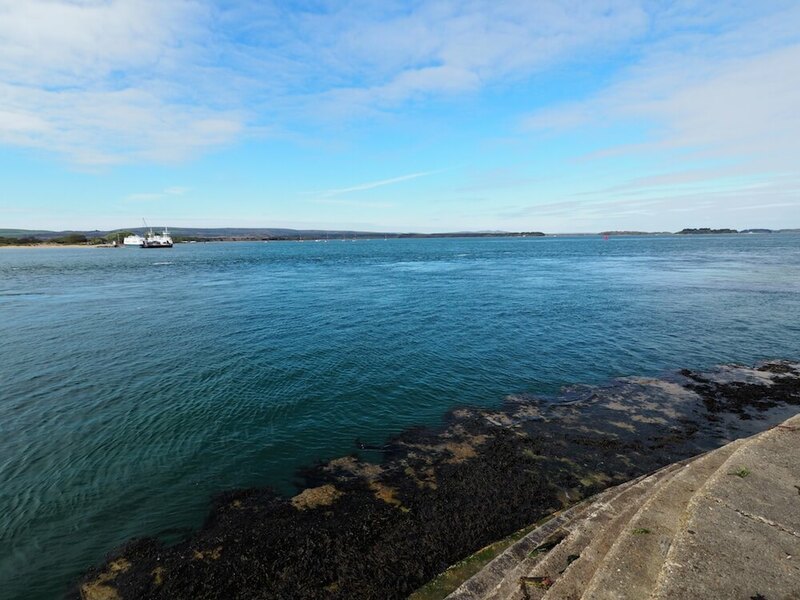 – Photo from Bosham, but works well here don’t you think? I think it was the design of the car – the fact that you’re so high up when you’re in it, but I felt strong on the road. Driving through the New Forest was a breeze and I think what the Mokka X really gave was confidence. Their tag line is ‘It’s Your Life. Go Drive It’. All taglines seem kinda cheesey when you take them out of context and imagine the bigwigs thinking it up in their office while looking out over the horizon, but, in this case, I get it . Power, confidence, stability and security – the Mokka X driving experience summed up in a few words for you there. Anyway, all the excitement and adventure of the Apple Car Play, the donkeys and the car meant it was time for a coffee, cookie and flapjack next to the fire. As you can see in the video. 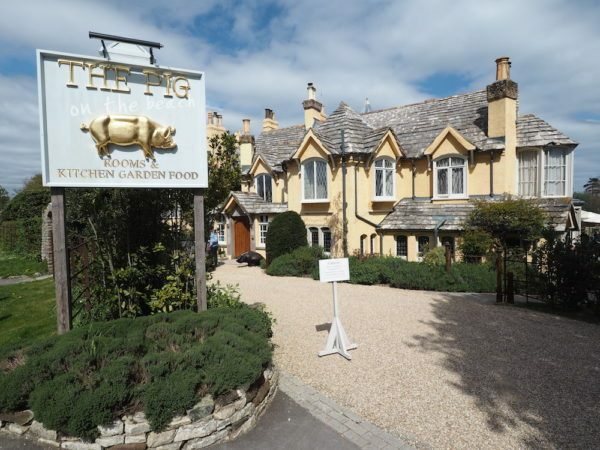 I’ve heard about Christchurch in Dorset for a while now, and never been. It’s usually associated with old people. I did see a few mobility scooters but if I’m ever in one of those, I’d probably head down this way too. I see what they’re doing. We had a quick drive round Christchurch town and then headed for Avon Beach for lunch, where we’d spotted ‘The Noisy Lobster’. One crab sandwich and one fish finger sarnie later, shared between us, and we were ready to hike up to walk the Coastal Path. I love road trips. 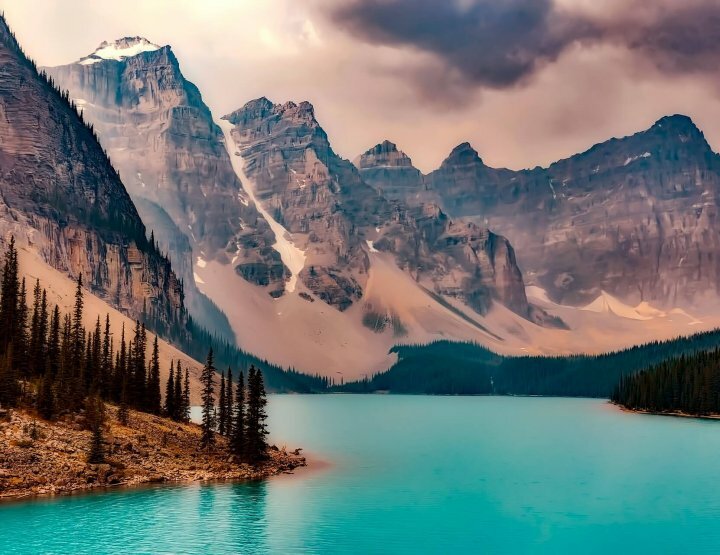 You get to hang out with your chosen friend, it’s not about drinking or partying or any of that nonsense – just getting back to nature and talking, with only the beautiful landscape for distraction. I need to do more of these in the UK for sure. 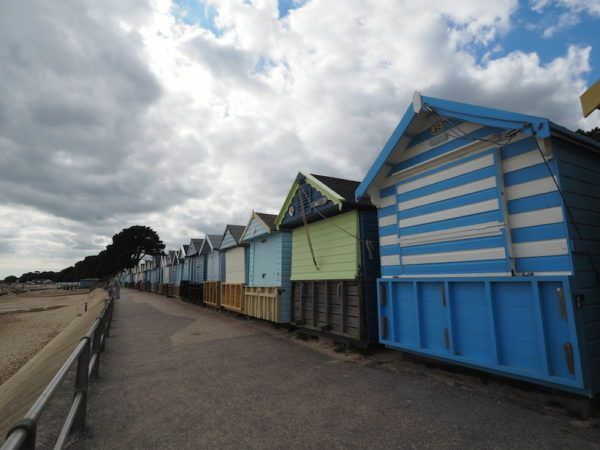 There’s a ferry in Christchurch – you can get over to Mudeford. Our plan was thwarted though by the fact that we only had about 70p between us and there’s no ATM round the lobster pots and fishing boats of the marina. Bournemouth: another famous British seaside town I’d never been to. Well, now I have. 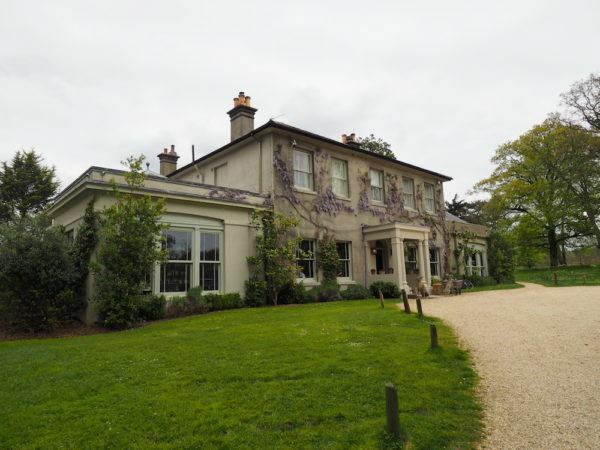 We stayed at the Cottonwood Boutique Hotel which was weirdly good value for the Thursday before Easter at £53 for a family room, because, more beds. Nice place. 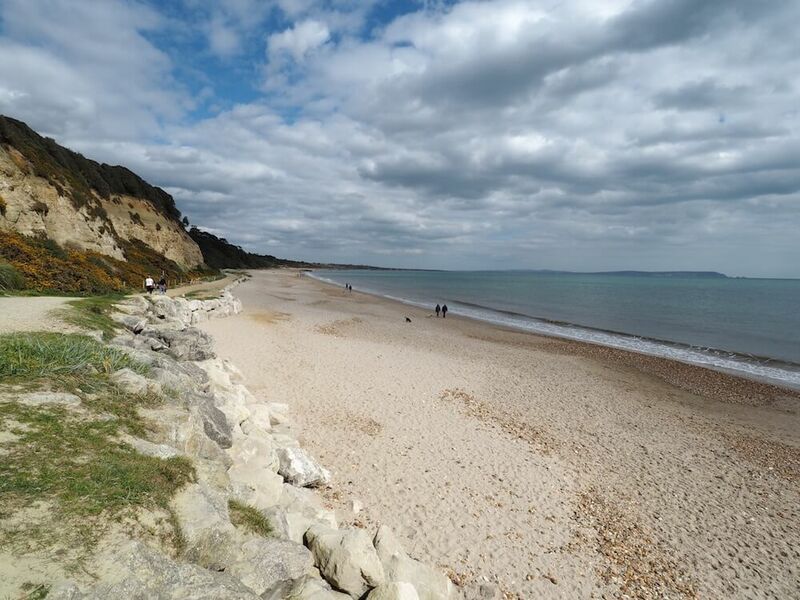 Right on the beach and just a walk away from Bournemouth Pier, the town centre and all the fun of the beach front. 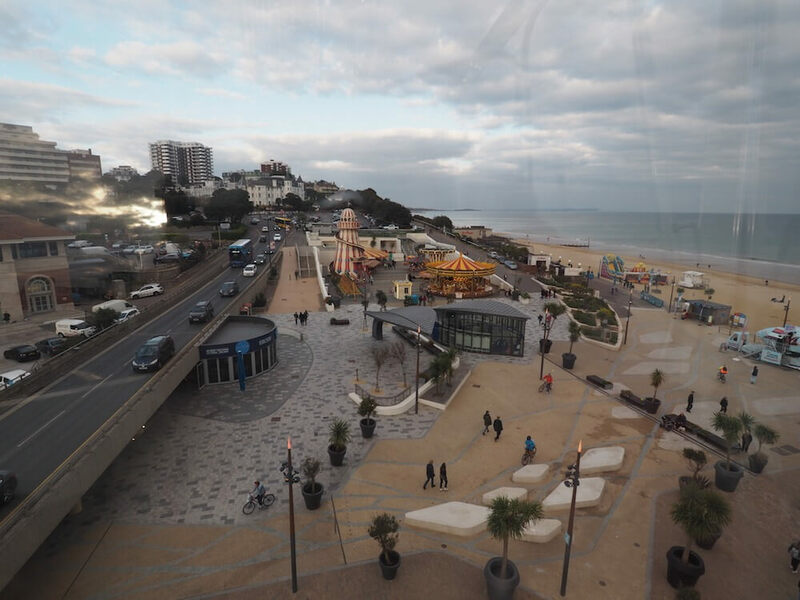 We went on the Bournemouth Big Wheel – how adventurous are we?! And enjoyed the views from up there, before heading off in search of food. Our hearts that were so set on sushi soon plummeted when found out Sushi and Roll was a takeaway, surrounded by chain restaurants. Lucky for us – as we realised later – we went to NEO Restaurant as a second choice, neither of us particularly excited. But, oh my days, that beef brisket. Tender, perfectly cooked and served with the tastiest of all the gravy. Chloe reckoned she had the best risotto she’d ever had. Definitely recommend. Although, it’s pretty fancy – you might not want to turn up in your Nikes and puffer jacket like I did. 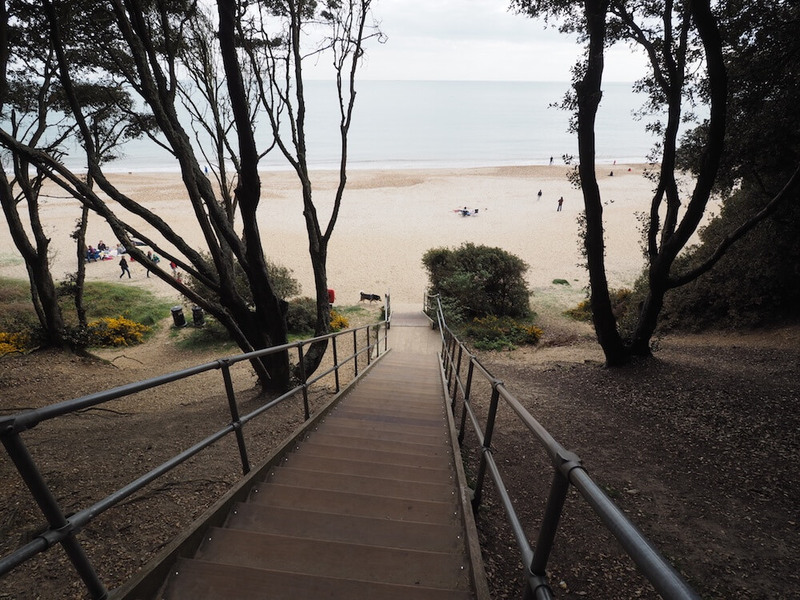 We left our hotel in Bournemouth in search of breakfast and decided to lord it up in Sandbanks – apparently the fourth most expensive place to live, in the world. Absolutely infested with millionaires. D’you know what the Sandbanks moneyed don’t have though? Anywhere decent for breakfast. All. Closed. They also don’t have manners. The drivers on this small peninsula were notably more aggressive than anywhere else – we even got the V sign from one Land Rover owner who’d obviously got out of his gold-plated four-poster bed the wrong side, despite us being completely in the right. So, we got outta there. You can take the ferry from Sandbanks to Swanage in just four minutes and £4, which is what we did. Although, we found out on the other side that the toll people don’t take card and so I now have some sort of bailiff collector note I have to pay within 7 days or they’ll hunt me down. Just as a word of warning for you. We drove through Studland Bay – four miles of sandy beaches and heathland – admiring the view and questioning why neither of us had ever been before. Stunning. Coming down into Swanage town and seeing the sun reflecting off the sea in front of us was pretty special. I liked it here. We found an free hour’s parking and went in search of a cash point and coffee. Java Coffee House was our saviour, with toasted cheese scones and Americanos all round. I’ll come back here one day, but for now, time was ticking. 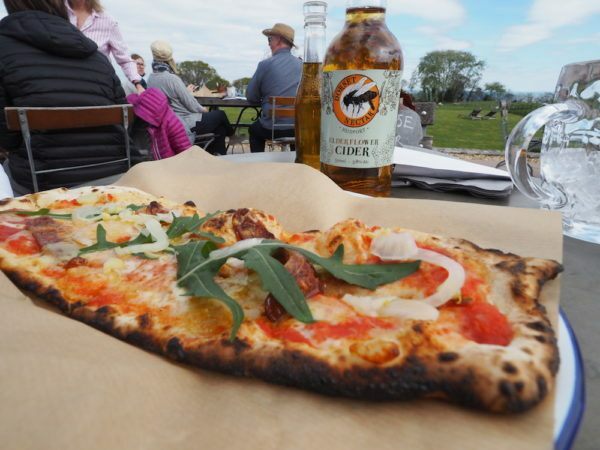 And so, just two hours later, there we were scoffing a chorizo flat bread outside our second Pig of the trip – Pig on the Beach. 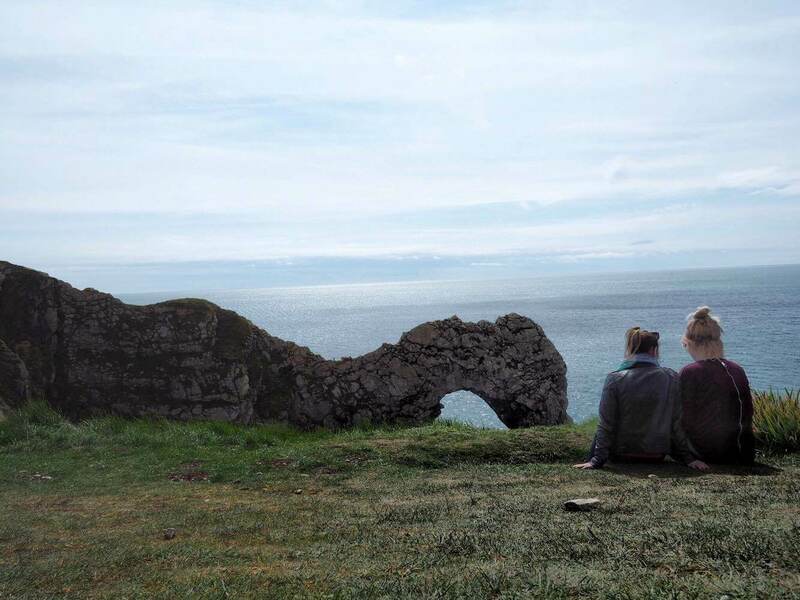 To be fair, we had ‘hiked’ / ambled along the Coastal Path in that time, enjoying such beautiful scenery like this. 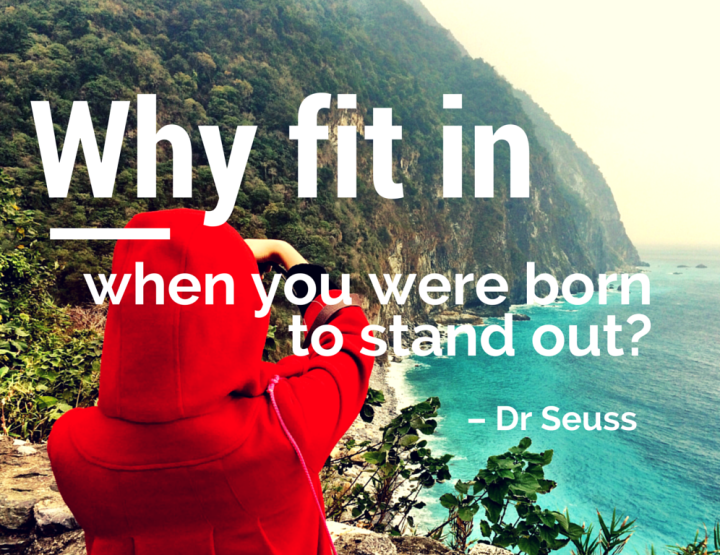 Top tip for you: explore. Many people were just sticking to the path, and seeing as it was Easter Friday it was quite busy. Chloe and I though, being the adventurers that we are, we were drawn to the coast and off roaded our walk to end up scenes like the below. 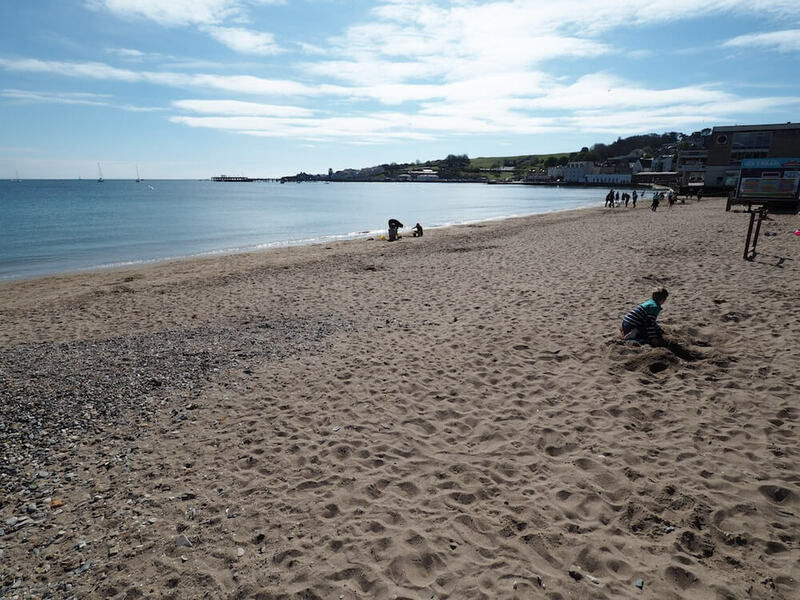 We also followed our nose to a bacon and halloumi beach shack (next time) and found a little beach with just a few of those in the know kicking back and relaxing the sunshine. 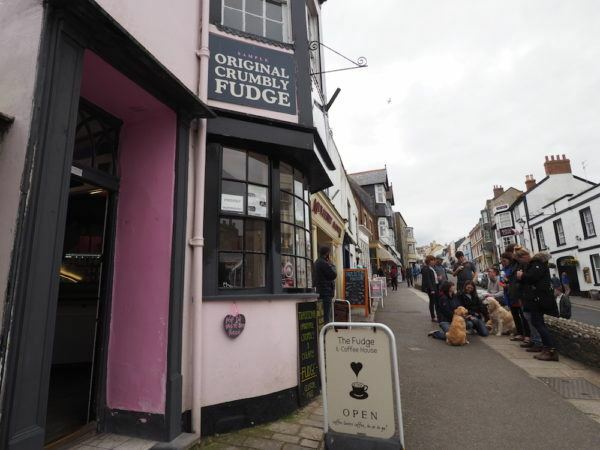 The highlight of our next stop, Lyme Regis, was when both of us were let loose on the fudge pick n mix and managed to get exactly 100g, so £1.75, in our bags by eye. I mean, that kind of precision takes years of practice. I was proud of us. We got into Sidmouth at around 5pm. We’d left the sun and heat in Dorset and Devon looked kind of grim to be honest. Of course we tried not to let that affect our thoughts, but y’know, it did. 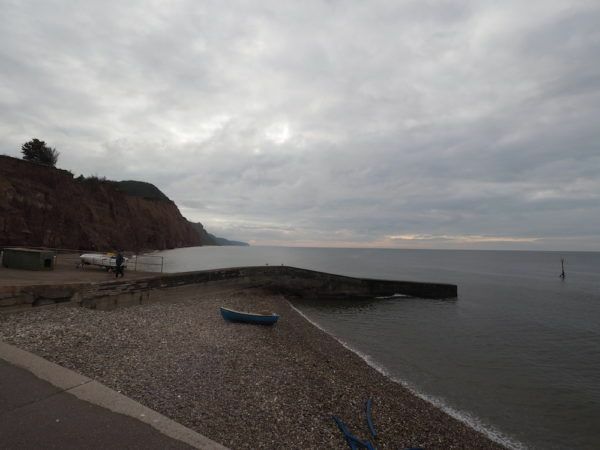 Sidmouth is famous for its red cliffs and our hotel, Duke’s, was right in the middle of the beach strip. 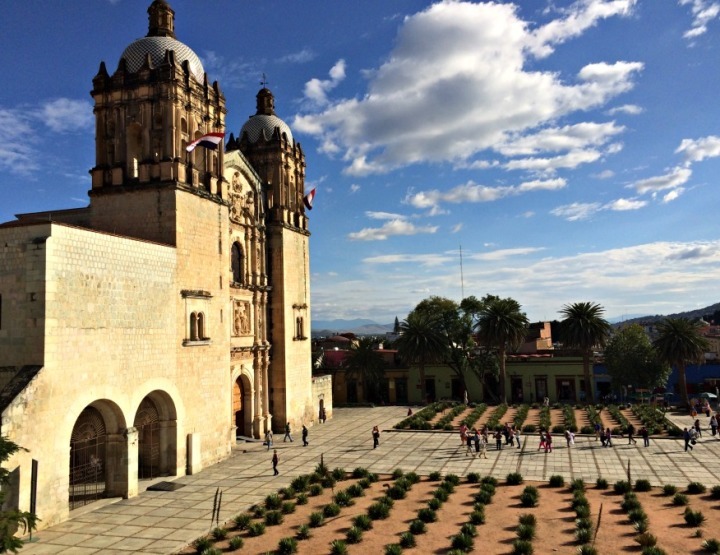 We checked in and walked round the town to find a spot for dinner. We ended up at The Loft, with unfortunately a bad menu choice of the seafood platter. A few strips of salmon and tasteless prawns later and we were left staring at the steaks being brought out around us, wondering where we’d gone wrong. Unfortunately that Friday night saw me hanging out the window at 2am shouting at the drunk teenagers below to be quiet. Chloe made me come back in, pointing out that that was us till about two years ago. Not the teenage part, obviously. We had very little sleep. Just don’t ever stay in room 9 at Duke’s ok? 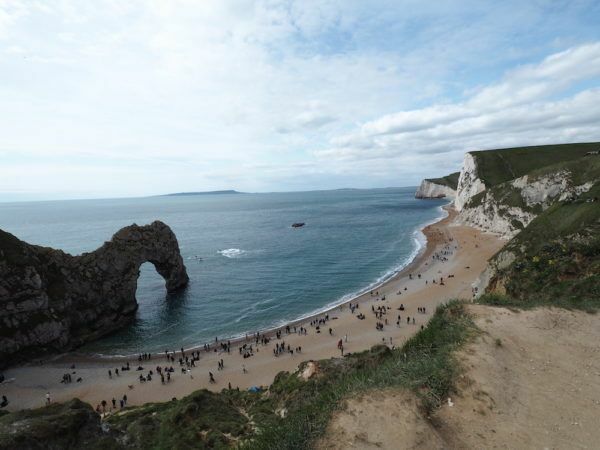 Durdle Door in Dorset is basically an archway in the water, but a very, very famous one. 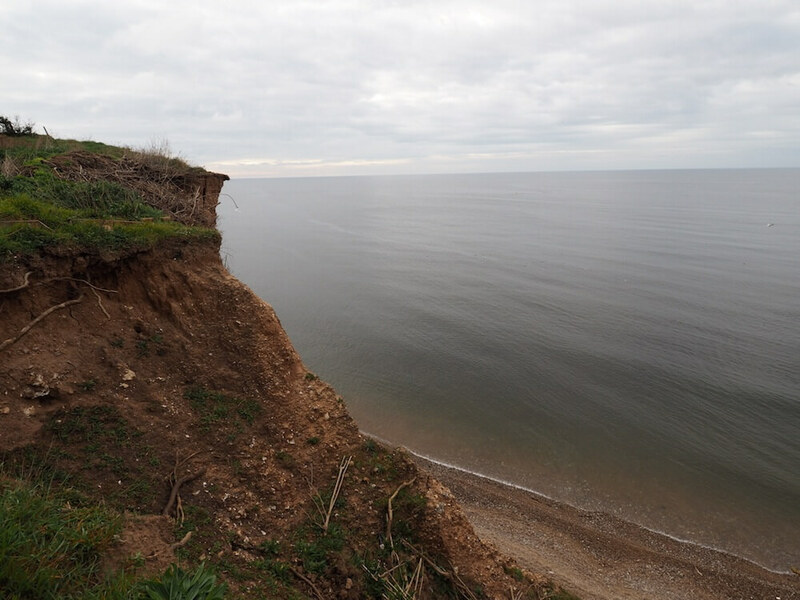 There’s a sandy beach and beautiful coastal walks all round, or you can stand and admire. Or sit, as we did. 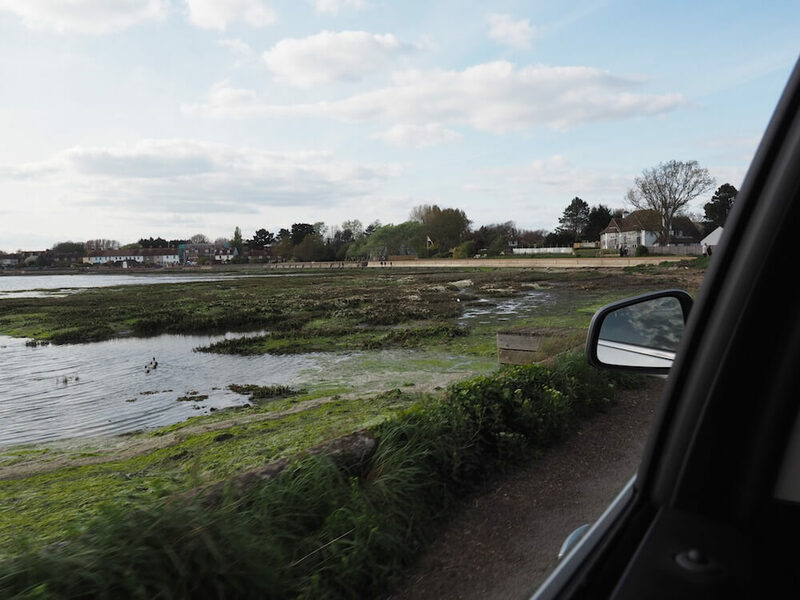 And then we left, homeward bound, via a little detour to Bosham near Chloe’s home in Emsworth. 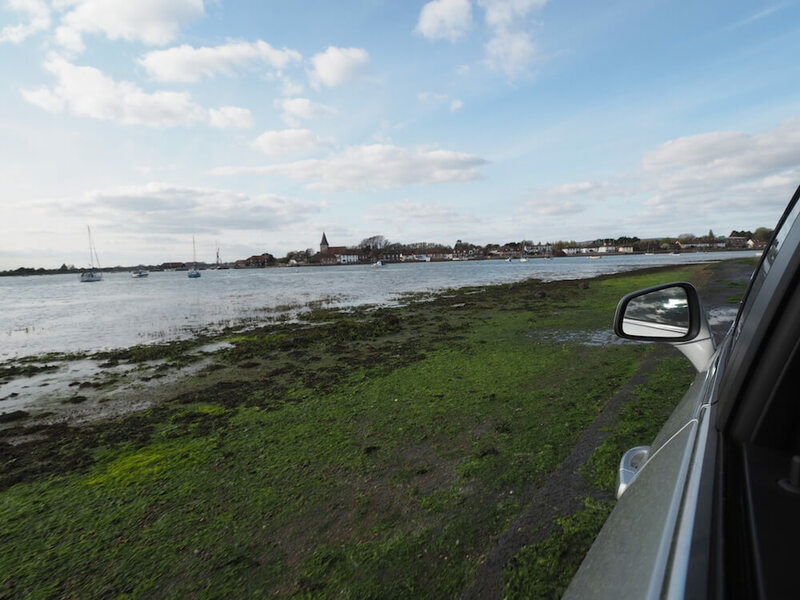 Stu, Chloe’s husband, wanted a spin in the Mokka X, so we drove down to Bosham near Chichester to get an ice cream. Although, thanks to all the road trip snacks Chloe and I had devoured there was no space. On that note, the dashboard provides an excellent and sturdy shelf for snacks if ever you want to park up and picnic in the car. 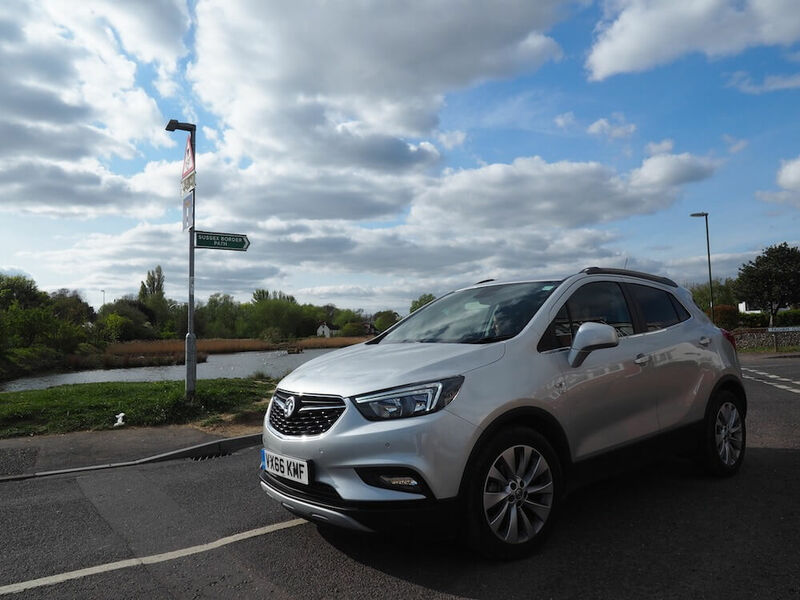 So instead of the ice cream we drove around the Quay and tried to put the Mokka’s 4×4 functionality to good use, although the end of the video above is as adventurous as we got. See if your car has any kind of app. If you travel with Vauxhall you can download their app which connects to the car so you can control the music and help to run the car as you like it. It also has your user manual, if ever you need to refer to it. Obviously and of course. I way prefer Google Maps to Apple and seeing as the car supported both, I went with Google. Get your locations up while you have WiFi and you don’t need to use 3G. How good is the RinGo app? I forgot how annoying it was to make sure you have coins for parking – especially with the new £1 coins. With the RinGo app you can pay for parking online. Just make sure you don’t tick the text message warning box – 20p a time! – Take money, as in cash. We couldn’t do a ferry ride we wanted because we had no cash, and then didn’t have money for parking meters. So annoying. – Enjoy the journey! There’s some beautiful scenery round these parts, make the most of it. Gotta love a road trip! Looks like you guys had fun. 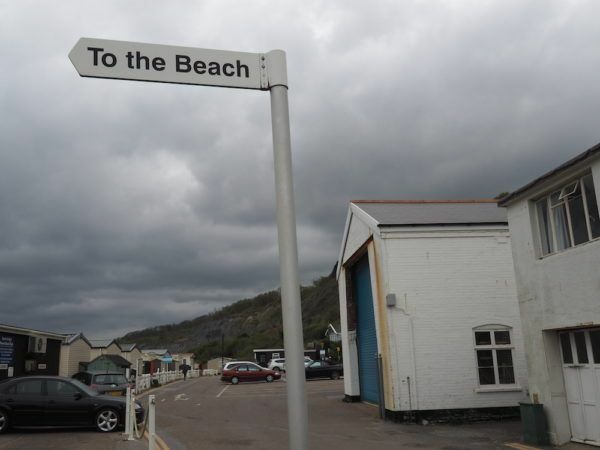 Is Christchurch in Dorset where they filmed Broadchurch? It looks very similar. Nice post Vicky! Video is awesome and place too! Nice Road Trip! 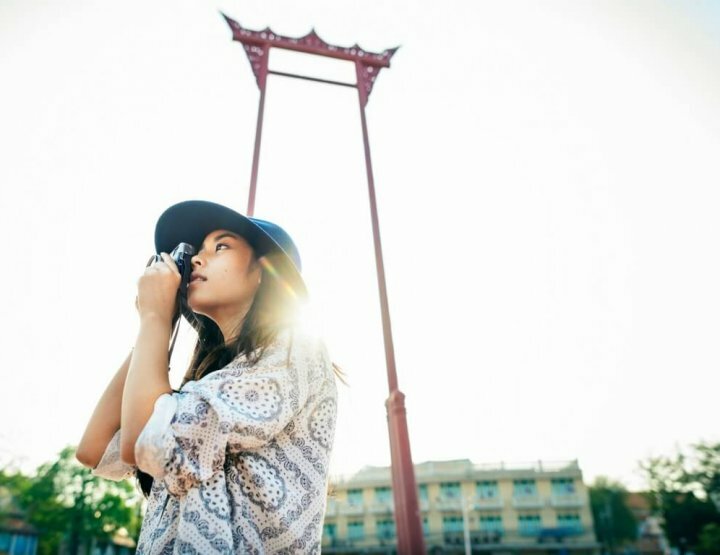 What’s the Average Travel Blogger Salary?